• A unique mixture of contemporary and classic design. • HAND FINISHED: Finished in stone grey, with limed oak surfaces and solid oak drawer linings. •RECLAIMED TIMBERS: Each piece of furniture is totally unique with its own personal story to tell. •SOLID WOOD: Carefully hand-crafted from solid wood using traditional carpentry methods. •EXTENSIVE RANGE: With 11 different beautiful pieces to choose from, you can create your own bedroom combination. The simple, graceful curves of the Newport bedroom will infuse your bedroom with a timeless elegance. Finished throughout with a high gloss lustre, the dressing chest and night table are topped with black glass while the tall chest top lifts to reveal an internal mirror and velvet lined accessories drawer with divers. The Hannah Bedframe is made from solid oak painted in grey with natural oak finished top. 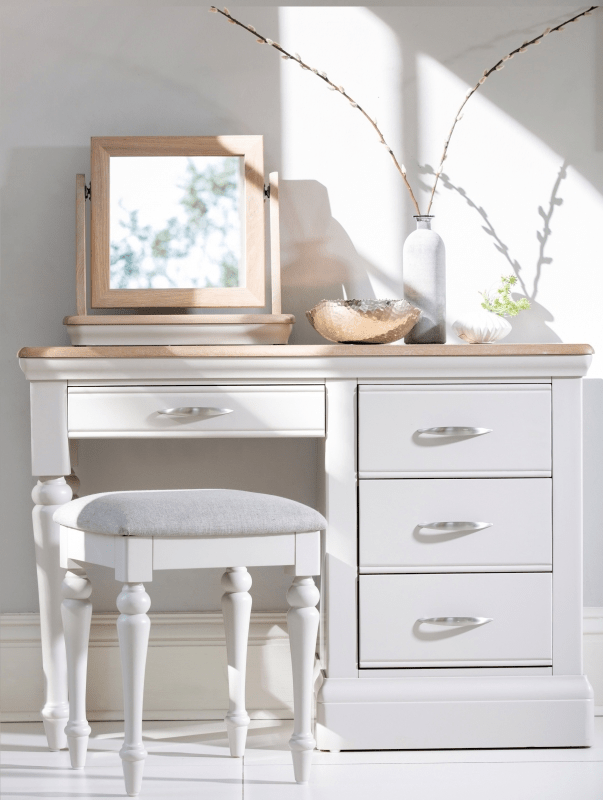 This painted bedroom furniture collection is lacquered in a soft buttermilk colour and paired with tops. The accents of handcrafted water hyacinth baskets and silver satin finished handles gives the collection a blend of contemporary and country styles. •HAND MADE: This stunning bedroom range is carefully hand-crafted using only the finest materials. 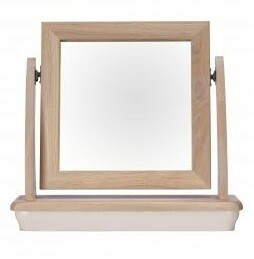 •NATURAL MATERIALS: Rich mahogany wood and carved detailing gives a distinctive and elegant look. •EXTENSIVE RANGE: With various different beautiful pieces to choose from you can create your own bedroom combination. The Hannah Three Door Wardrobe is made from solid oak, the base is grey painted and the top is in natural finish.